April showers bring May flowers -- spring is a splendid time to add a new addition to your home. Not only are plants pretty to look at, some help purify air, fill a room with their fresh fragrance and can sometimes be eaten. These plants require minimal maintenance and will suit any apartment style. This stalk plant can grow up to 10 feet tall, so make sure you have plenty of space for it before purchasing. Keep in mind it can be pruned if desired. Its long, straplike leaves are a vibrant chartreuse green, brightening up any room. Place this plant where it will receive medium-low light, not direct sunlight, and water it every two days. Studies done by NASA have even determined that the Dracaena processes airborne gases and pollutants, making them suitable for air filtration! NOTE: Do not let your pooches or kids chew or eat this plant; it is poisonous! For all of you that claim you can’t take care of a plant, or that all previous greenery has met an unfortunate demise, the Zeezee plant is for you. It can go days, even several weeks without water, making it a great beginner plant. This plant grows to be between two to three feet tall and wide and requires moderate sunlight. 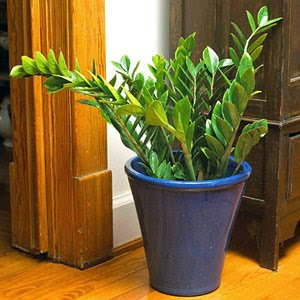 The Zeezee plant has several stems and thick, waxy, durable oval-shaped, bright green leaves. NOTE: Do not let your pooches or kids chew or eat this plant; it is poisonous! If you are looking for a plant that adds a touch of greenery to your space and makes your food more delicious, look no further than Basil. This fragrant herb will not only liven up a room, but also your food. Nothing tastes better than freshly grown herbs. 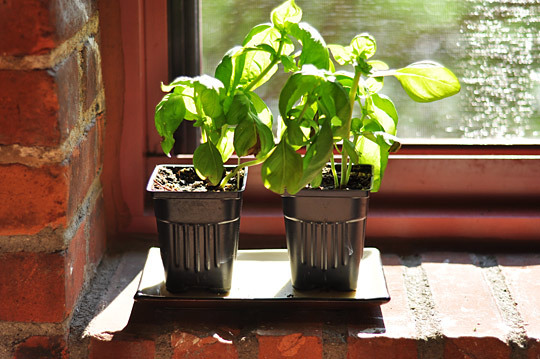 All you need is a window sill and a nice sunny place for your basil to flourish. It’s also ideal for those that do not have a lot of free space to grow plants. NOTE: Make sure you clean and prepare the basil safely before consumption. This beautiful flowering shrub gets its name because its leaves are reminiscent of that of a Maple Tree. It can grow to be five feet tall and three feet wide and needs intense light while keeping the soil evenly moistened with warm water. Its gorgeous crepe-paper-like flowers bloom in shades of red, pink, orange or yellow and practically bloom year-round. Creating a striking contrast to a room dominated by cool colors, the flowering maple plant will make a bold statement in any room. Well-known for its divine fragrance, Jasmine plants will no doubt fill your space with a lovely sweet aroma. 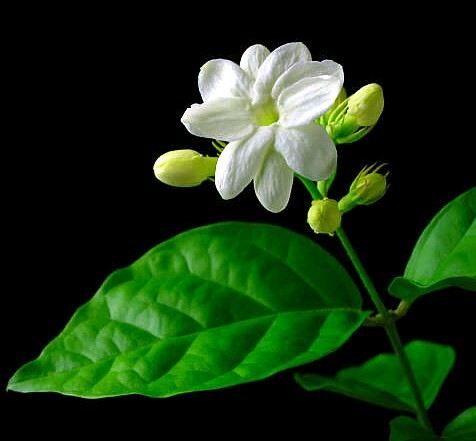 Although there are many different subtypes of Jasmine, the easiest to grow are the Pink (or White) Jasmine (J. polyanthum) and Arabian Jasmine (J. sambac) -- just give them plenty of light and moisture. The plant will bear delicate pink to white flowers that will add a touch of femininity to any room without being overpowering. Add a touch of spring to your abode with any of these wonderful options, which can be found at your local Lowes or Home Depot. Do not be afraid to consult with nursery workers before you purchase your plants. It is their job to help, and they are normally very knowledgeable, plus they will make sure you get all the supplies you need! Ehow.com also has very helpful planting tips. Some schools will not allow plants in your dorm room, so be sure to check before buying them. If you are not allowed, Michaels has some fantastically realistic plastic options that everyone will mistake for the real thing. We would love to see what your new budding beauties look like; please share pictures of them below!